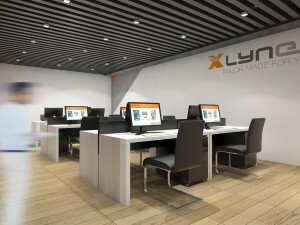 XLYNE is a leading manufacturer of of private label products within the scopes of IT and Consumer Electronics. Our company prides itself to the right employees that are the foundation of our company’s culture. People that identify with our products and goals characterize XLYNE. We put value on a pleasant working atmosphere, where you enjoy working and contribute to the success of our company. Our employees take responsibility because they recognize themselves as an important part of our company and enjoy your business in an exciting and face-paced market.